GotQuestions.org: Why Ask Those Who Can’t Explain? So how do we know they are not giving unbiblical answers that lead people down a false path? Don’t other religious organizations also believe they are using the Bible properly to answer questions? Which one doesn’t think they are right, or admits they are wrong? Consider! “And for this cause God shall send them strong delusion, that they should believe a lie: That they all might be damned who believed not the truth, but had pleasure in unrighteousness” (2 Thessalonians 2:11-12 KJV). God has determined that false works are necessary to catch and filter out the insincere and other abusers of the truth. They are also there to try and purify the sincere. The Lord gave a parable describing how the wheat He sows grows together with the tares sowed by the enemy, until He sends reapers to bundle the tares for burning (Matthew 13). Whoever tries to prevent these things fights against God Himself. As it is written, “The deceived and the deceiver are His” (Job 12:16). Without the works of darkness that lie and pervert the truth, the pure and glorious work of the Lord Jesus Christ in His saints would not stand out in contrast for all to see. GotQuestions is part of the darkness, erring in the foundational elements of true faith and salvation in Christ. Their mission is self-serving, their eyes on themselves, and not on God. They serve, not as a light, but as a black backdrop against which God shines His Light to give understanding to the simple who put their trust in Him. According to the counsel of the Scriptures, we acknowledge that GotQuestions has its purpose in Heaven’s economy, and we delight in the opportunity to show them up for what they are – workers of iniquity, coming as ministers of righteousness in the Name of Jesus Christ, Whom they do not know, but Whom we know, and thus we speak. GotQuestions prominently teaches and defends the trinity. The teaching of the trinity, a diabolical and confounded misrepresentation of God, is one of the prominent indicators that you are dealing with a cult. 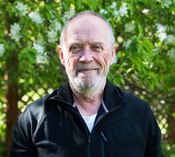 While we have thoroughly refuted this error in several writings in Jesus Christ Is God, we will now answer GotQuestions’ arguments and the Scriptures they present on their site, demonstrating how unreasonable, speculative, and unbiblical the trinity is, according to the very same Scriptures in which they think to find the evidence that proves it. If it is impossible to explain, why try? If impossible to understand, how do they understand and know they are speaking the truth? Are they not in confusion and condemned out of their own mouths as liars from the get-go for trying to convince you of something they say is incomprehensible? If they don’t understand God, how can you believe what they say about Him? They might answer that you need to take their knowledge “by faith,” but faith is the evidence of things not seen, not speculation or opinion about what is invisible to outward sight. That is anything but evidence. The truth is, those who believe do know and see God, the Lord Jesus Christ, and tell you the truth about Him. If we have known our physical fathers, who are external, why should we not know our spiritual Father, Who dwells within? The Scriptures, written by those who know God, say much about Him, but nothing about a “trinity”! “You worship what you do not know, we know what we worship, for salvation is of the Jews” (John 4:22 MKJV). Are not trinitarians worshiping what they do not know? If someone is unable to explain something, his understanding of it is what should be questioned rather than the complexity of the subject matter or his powers of expression. Plainly the authors of GotQuestions admit they don’t understand (and deny you can understand), which makes them self-confessed blind leaders of the blind, with everyone ending up in the ditch. “However, when He, the Spirit of Truth, has come, He will guide you into all truth. For He shall not speak of Himself, but whatever He hears, He shall speak. And He will announce to you things to come” (John 16:13 MKJV). The problem with GotQuestions, and all those who deny these things and rationalize around them, is that they have never received the Spirit of God. The things of God are foreign and inexplicable to them. “And those who are wise shall shine as the brightness of the sky; and those who turn many to righteousness shall shine as the stars forever and ever” (Daniel 12:3 MKJV). (4) For the LORD takes pleasure in His people; He will beautify the meek with salvation. (5) Let the saints be joyful in glory; let them sing aloud on their beds. (9) to carry out on them the judgment written; this is an honor for all His saints. Praise the LORD! “In that hour Jesus rejoiced in Spirit and said, I thank You, Father, Lord of Heaven and earth, that You have hidden these things from the sophisticated and cunning, and have revealed them to babes. Yes, Father, for so it was pleasing before You” (Luke 10:21 MKJV). Praise God! There is sound and unshakeable understanding for babes in Christ, those who do not trust in their own sight or thinking. God has opened their eyes to see, know, and receive Him, while this precious knowledge is hidden from the spiritually sophisticated and cunning. Lacking revelation knowledge of Him, the religious professors of faith who trust in themselves conceive complicated explanations, from their own minds, for the false gods they have formed in His Name, calling them, among other things, the trinity. The unknowing and ignorant are caught in the net, made subject to the superstitious and false religion called “orthodox Christianity,” which is full of error (see The True Marks of a Cult and Diabolical Doctrines). The keepers of the orthodox gate entangle their captives with an incomprehensible god one can never know. And how can you trust what you don’t know or understand? To top it off, the fact that the trinity can’t be explained is supposed to convince you of its validity. What a scam! This is Mystery at work! “Mystery,” if you are not familiar, is the short name for “Babylon the Great, the Mother of Harlots and of the Abominations of the Earth,” who is drunk with the blood of the saints she has murdered (physically and spiritually) from the very beginning. She wields her power through darkness and lies couched in truths. She threatens with eternal torment in hell if you don’t accept her inexplicable tri-part god. But such a threat was never uttered from the lips of the true God Who gave His only begotten Son to save (not to condemn or destroy) the world (read The Good News). Mystery claims God made this threat, in order to get you to follow her in His Name as she leads you into hell (or keeps you there). “And this is life eternal, that they might know You, the only true God, and Jesus Christ Whom You have sent” (John 17:3 MKJV). Knowing Jesus Christ is knowing God, because they are One and the Same. If the Father is the only true God, then Jesus Christ cannot be a separate Being Who is also God. Jesus Christ is either God, the Father come in the flesh, or He is not God at all. Is it a strange and amazing thing that God took on human form and came in the flesh? Indeed it is! What twaddle! How are “three Persons” not “three Gods”? Oh yes, we are told this is inexplicable. Well, we will explain how wickedly stupid and wrong such thinking is, because it calls the Lord a liar when He says He is the only One and Singular God, with no God beside Him (Isaiah 45:5,21). Line up three “Persons” – “God the Father, God the Son, and God the Holy Spirit” – and there are Gods beside each other, are there not? According to GotQuestions’ doctrine, there could actually be a fourth God, “the Trinity,” which exists in these three other “Persons.” When any of these three “Persons” speaks, it is the fourth God, the combined “Trinity Personality,” speaking through the individual Person-God. Such confusion! No, there is only one God, Who speaks with one Mind and one Voice. There are not several gods conferring and/or speaking separately. There are not Three Persons thinking the same thoughts simultaneously, making each other redundant. “You are of God, little children, and you have overcome them, because He [not “They”] Who is in you is greater than he who is in the world” (1 John 4:4 MKJV). “Not for these only do I pray, but for those also who believe in Me through their word, that they may all be one; even as you, Father, are in Me, and I in You, that they also may be one in us; that the world may believe that You sent Me” (John 17:20-21 HNV). So we can see that existing or being in God does not make one God Himself. God exists in me and I am one with Him by the cross of Christ, yet I am not God. Therefore, God existing in Jesus did not make Him one Person of a Three-God-Person trinity. According to His Own words and works, He was either God Himself in the flesh, or He was only a man. (36) do you say of Him Whom the Father has sanctified and sent into the world, You blaspheme, because I said, I am the Son of God? (37) If I do not do the works of My Father, do not believe Me. (38) But if I do, though you do not believe Me, believe the works so that you may know and believe that the Father is in Me, and I in Him. “For He [Christ] was counted worthy of more glory than Moses, because He Who has built the house has more honor than the house. For every house is built by someone, but He Who built all things is God” (Hebrews 3:3-4 MKJV). (2) He was in the beginning with God. (3) All things came into being through Him, and without Him not even one thing came into being that has come into being. (4) In Him was life, and the life was the light of men…. (9) He was the true Light; He enlightens every man coming into the world. (14) And the Word became flesh, and tabernacled among us. And we beheld His glory, the glory as of the only begotten of the Father, full of grace and of truth. (8) and being found in fashion as a man, He humbled himself, becoming obedient even unto death, yea, the death of the cross. There are not three different “Persons” mingled in an incomprehensible, conglomerate godhead. There is only one God with different manifestations, which are the same Being. Hear His (not “Their”) emphatic declaration on this point: “Hear O Israel, the LORD our God is One LORD” (Deuteronomy 6:4). If God did not want us to know that He was the only One True God, then He wouldn’t have bothered telling us. What an insult to Him to say that we can’t understand that He is one instead of three, while insisting He says He is three. It is not that trinitarian preachers can’t understand there is only one God. They refuse to understand because they refuse the One True God Who speaks, having no use for Him. Trinitarianism treats Jesus Christ like the Koran does. Islam presumes to honor Christ by calling Him a prophet, yet denies He is the Son of God. Trinitarians presume to honor Christ by calling Him “the second Person of the Godhead” while denying He is the One True God and Father. What shameless impudence to insist the Bible teaches what is never mentioned in it – the trinity – and to condemn those who do not accept this manmade concept, especially those who refute the polytheistic jumble by declaring Him, of Whom the Bible is all about, the One True God and Lord Jesus Christ. (27) And God created man in His own image, in the image of God created He him; male and female created He them. Why “Us” and “Our” in verse 26, since God is singular in verse 27, it saying “He,” not “They”? (4) Where were you when I laid the foundations of the earth? Tell if you have understanding! (5) Who has set its measurements, if you know? Or who has stretched the line on it? (7) when the morning stars sang together and all the sons of God shouted for joy? (23) Therefore the LORD God sent him forth from the Garden of Eden, to till the ground from whence he was taken. (24) So He drove out the man; and He placed at the east of the Garden of Eden the cherubim, and the flaming sword which turned every way, to keep the way to the Tree of Life. (6) And the LORD said, “Behold, the people is one, and they have all one language; and this they begin to do: and now nothing will be restrained from them, which they have imagined to do. God sent His angels in His Name to do His work with men. God has appeared in other similar circumstances, accompanied by His servants. (1) The LORD appeared to [Abraham] by the oaks of Mamre, as he sat in the tent door in the heat of the day. Trinitarians like to present this incident as proof of the doctrine that God is three persons. Let’s examine it. (22) And the men, turning from that place, went on to Sodom: but Abraham was still waiting before the Lord. “And when the dawn rose up, then the angels hurried Lot, saying, ‘Rise up! Take your wife and your two daughters who are here, lest you be consumed in the iniquity of the city’” (Genesis 19:15 MKJV). Some opine that since God says, “I will go down,” instead of, “We will go down,” He wasn’t going to Sodom as a trinity, as many say He did at the Tower of Babel because He said, “Let Us go down.” Why would God go as a single Being one time and as a corporate Being another time? And how could He, since He says, “I Am That I Am”? He is always the Same. Because God was speaking to Abraham, He spoke of what He intended to do. But when He spoke to His companions, the angels, His messengers, He spoke of what they were doing in His Name, by His authority and power (“Where two or three are gathered in My Name, there am I in the midst of them” – Matthew 18:20). I to companions: Let us go down to the store to check out computers. I to clerk at store: I am here to buy a computer. (1) In the year that King Uzziah died, I then saw the Lord [singular] sitting on a throne, high and lifted up, and His train filled the temple. (2) Above it stood the seraphs; each one had six wings; with two he covered his face, and with two he covered his feet, and with two he flew. (4) And the doorposts moved at the voice of the one who cried, and the house was filled with smoke. (6) Then one of the seraphs flew to me, having a live coal in his hand, snatched with tongs from the altar. Once again, there are others with the Lord, in this case the seraphs who worshipped before Him and ministered to Isaiah. And what of the twenty four elders before His throne (Revelation 4:4)? Is God alone? No, God is not alone. “Definitely allows for the Trinity” is a far cry from declaring the trinity. It definitely allows for a whole army of Gods, too. But aside from the fact this is sheer numerical speculation, what about the plural nature of “Elohim” (the Hebrew ending – “im” – used for plurals)? God is plural in more than one way, as water (“mayim”) and Heaven (“shamayim”) are plural in Hebrew – “waters” and “heavens.” Water and Heaven are dominantly pervasive in creation, thus the plurality of identity. God is Everything. All of creation manifests Him. “He is before all things, and by Him all things consist” (Colossians 1:17 MKJV). “And the LORD said to Moses, ‘See, I have made you a god [elohim – plural] to Pharaoh’” (Exodus 7:1 MKJV). No matter what translation you’re using, the full meaning of God’s Plural Nature is right there in the Genesis text. Millions have been chasing rabbits for millennia, hunting and theorizing about God’s reference to Himself in the plural, as evidence of a trinity. They’ve been soiled by indoctrination of men and been blind to the simple truth. A revealing question to ask ourselves: If God is a trinity, and He made man in His image, how is it we don’t find ourselves having the nature of a trinity? Yes, a man is body, soul, and spirit, but that doesn’t make him three co-equal persons. A man may fulfill three roles, as say, husband, father, and son, or engineer, artist, and singer, but it doesn’t make him three beings. So what’s the answer? If Elohim is plural, and He is, and He created man in His image, male and female, then it follows Elohim is male and female, and therefore Elohim is “We” and “Us,” just as man and wife are two, yet one. When Jesus Christ came, died, and was resurrected, it was, as it were, the taking of a rib from God and forming the Female Factor. This forming came through death, even as Adam was put to sleep so Eve could be formed. Do the Scriptures not say that Christ was begotten through His death and resurrection? “And we preach the Gospel to you, the promise made to the fathers, this God has fulfilled to us their children, raising up Jesus, as also it is written in the second Psalm, ‘You are My Son, this day I have begotten You‘” (Acts 13:32-33 MKJV). Some may ask, “But wasn’t Christ already the Son of God, before He was raised from the dead?” Yes, but as the Son of God, He still needed to be made perfect, even as a clay pot on a wheel is a clay pot, yet must be perfected by fire. “For it was fitting for Him, because of Whom are all things, and through Whom are all things, having brought many sons to glory, to perfect Him as the Author of their salvation through sufferings” (Hebrews 2:10 LITV). “And being perfected, He became the Author of eternal salvation to all those who obey Him, being called by God a high priest after the order of Melchizedek” (Hebrews 5:9-10 MKJV). (5) by the power of God, having been kept through faith to a salvation ready to be revealed in the last time. “You yourselves bear witness to me that I said I am not the Christ, but that I am sent before Him. He who has the bride is the bridegroom…” (John 3:28-29 MKJV). (7) Let us be glad and rejoice and we will give glory to Him. For the marriage of the Lamb has come, and His wife has prepared herself. (8) And to her was granted that she should be arrayed in fine linen, clean and white. For the fine linen is the righteousness of the saints. Do not the two become one? Christ is female to the Father, and we are female to Him, made one with God through Him, He being our Head and Husband. “For your Maker is your Husband, the LORD of hosts is His Name; and the Holy One of Israel is your Redeemer, the God of the whole earth He is called” (Isaiah 54:5 ESV). “But I want you to know that Christ is the head of every man, and the man is the head of the woman, and God is the head of Christ” (1 Corinthians 11:3 LITV). Here’s more: When God created man, Adam was alone. So what did God do? Did He create a mate for him from the ground, as He created Adam? No. He already had the material to work with – in Adam. (20) And Adam gave names to all the cattle, and to the birds of the air, and to every animal of the field. But there was not found a suitable helper for Adam. (21) And the LORD God caused a deep sleep to fall on Adam, and he slept. And He took one of his ribs, and closed up the flesh underneath. (22) And the LORD God made the rib (which He had taken from the man) into a woman. And He brought her to the man. (24) Therefore shall a man leave his father and his mother, and shall cleave to his wife and they shall be one flesh. (27) that He might present it to Himself as the glorious Church, without spot or wrinkle or any such things, but that it should be holy and without blemish. (28) So men ought to love their wives as their own bodies. He who loves his wife loves himself. (29) For no man ever yet hated his own flesh, but nourishes and cherishes it, even as the Lord loves the Church. (32) This is a great mystery, but I speak concerning Christ and the Church. Elohim made man first, in His image, and later made woman because there was no helper found for man (Genesis 2). (God didn’t go through the same process with the animals – they aren’t made in His image, even though the marks of His Nature are in all of creation.) And as man needed woman for his helper or “completer,” so God needed man to be completed. How could it be otherwise if man was made in His image? God came in the flesh as the Son of Man, the Female Factor, to facilitate this completion. Christ, the Mediator between God and man, consummates the relationship and unfolds the mystery of God’s purpose for mankind – the representation of His form. “For as many of you as were baptized into Christ have put on Christ. There is neither Jew nor Greek, neither slave nor free, there is neither male nor female; for you are all one in Christ Jesus” (Galatians 3:27-28 EMTV). “For even as we have many members in one body, and all members do not have the same function, so we the many are one body in Christ, and each one members of one another” (Romans 12:4-5 MKJV). And consider: As one with His Body that carries on His work, does the Lord not suffer because of what happens to His Body? “Saul, Saul, why do you persecute Me?” Jesus asked of him, as Saul persecuted His Body after the Lord’s ascension to Heaven and the giving of His Spirit to men. The two shall be one flesh. “Or do you not know that he being joined to a harlot is one body? For He says, ‘The two shall be one flesh.’ But he being joined to the Lord is one spirit” (1 Corinthians 6:16-17 MKJV). “For thus says the LORD: Behold, I will extend peace to her like a river, and the glory of the nations like an overflowing stream; and you shall nurse, you shall be carried upon her hip, and bounced upon her knees. As one whom his mother comforts, so I will comfort you; you shall be comforted in Jerusalem” (Isaiah 66:12-13 ESV). (2) And I, John, saw the holy city, New Jerusalem, coming down from God out of Heaven, prepared as a bride adorned for her husband. (14) And the wall of the city had twelve foundations, and in them were the names of the twelve apostles of the Lamb. (23) And the city had no need of the sun, nor of the moon, that they might shine in it, for the glory of God illuminated it, and its lamp is the Lamb. (24) And the nations of those who are saved will walk in the light of it; and the kings of the earth bring their glory and honor into it. Doesn’t God say He alone is the Savior of mankind? “But I am the LORD your God [Elohim] from the land of Egypt; you know no God but me, and besides Me there is no Savior” (Hosea 13:4 ESV). “Looking for the blessed hope and glorious appearing of our great God and Savior Jesus Christ, Who gave Himself for us, that He might redeem us from every lawless deed and purify for Himself a people as His own possession, zealous for good works” (Titus 2:13-14 EMTV). Even as Jesus said: “He who receives you receives Me, and he who receives Me receives Him Who sent Me” (Matthew 10:40 MKJV). (5) “And now, Father, glorify Me with Yourself with the glory which I had with You before the world was. (6) I have revealed Your Name to the men whom You gave to Me out of the world. They were Yours, and You gave them to Me, and they have kept Your Word. (18) As You have sent Me into the world, even so I have sent them into the world. (19) And I sanctify Myself for their sakes, so that they also might be sanctified in truth. (21) that they all may be one, as You, Father, are in Me, and I in You, that they also may be one in Us, so that the world may believe that You have sent Me. (23) I in them, and You in Me, that they may be made perfect in one; and that the world may know that You have sent Me and have loved them as You have loved Me. Indeed, the sons of God did shout for joy! As Christ is the female of God, so man is the female of Christ, His Bride, His Body, and woman is the female of man, his body. It begins with God, Who is All. “But when all things are subjected to Him, then the Son Himself also will be subject to Him Who has subjected all things to Him, so that God may be all things in all” (1 Corinthians 15:28 MKJV). (16) Come ye near unto Me, hear ye this: From the beginning I have not spoken in secret; from the time that it was, there am I; and now the Lord GOD hath sent me, and His Spirit. (17) Thus saith the LORD, thy Redeemer, the Holy One of Israel: I am the LORD thy God, Who teacheth thee for thy profit, Who leadeth thee by the way that thou shouldest go. “Jesus said to them, If God were your father, you would love Me, for I went forth and came from God; for I did not come of Myself, but He sent Me” (John 8:42 MKJV). “The Spirit of the Lord GOD is on Me; because the LORD has anointed Me to preach good news to the humble; He has sent Me to bind up the broken-hearted, to proclaim liberty to the captives, and the opening of the prison to those who are bound” (Isaiah 61:1 HNV). This is speaking of the incarnation of God as the Son of Man, when He came to bring us the Good News that would be fulfilled in our souls. We do not deny that God came in the flesh; on the contrary, we affirm and proclaim it! Jesus Christ lived fully as a man dependent entirely on God, but He is not another “God.” He is the God, YHWH, I AM, the eternal One, Who was never created but begotten for our sakes, bringing us life from the dead (where we were stuck without hope). There are not three individual “Persons” Who make up God. There is only Jesus Christ, God made manifest in the flesh to effect our deliverance from sin and death. “And lifting up their eyes, they saw no one except Jesus only” (Matthew 17:8 EMTV). “And Jesus, when He had been baptized, went up immediately out of the water. And lo, the heavens were opened to Him, and He saw the Spirit of God descending like a dove and lighting upon Him. And lo, a voice from Heaven, saying, This is My beloved Son, in Whom I am well pleased” (Matthew 3:16-17 MKJV). Trinity sightings are proof of man’s lack of understanding, nothing more! When God took on human form, He was still God in Heaven. God is capable of experiencing a dual existence and much more. If He fills all things (Ephesians 1:23) and by Him all things consist (Colossians 1:17), then what is the problem with Him becoming a man and appearing in the flesh? Does He suddenly not fill all things because He takes on human form? If a drop of rain falls on the desert, does the ocean cease to exist? How foolish are the idolaters who place arbitrary limitations on the Almighty Creator! Regarding the idolaters’ explanation of the scenario just described by Matthew, where the Spirit descends and the Father speaks, as though they are separate entities, have you not heard that the Holy Spirit fathered Christ? “And the angel answered and said to her, The Holy Spirit shall come on you, and the power of the Highest shall overshadow you. Therefore also that Holy One which will be born of you shall be called Son of God” (Luke 1:35 MKJV). The Son of God is the Son of the Holy Spirit. This proves the Holy Spirit is God! So when God, Who is the Father, speaks, it is the Holy Spirit speaking, even though God is described in the same place as the Holy Spirit descending as a dove. The different titles only indicate different functions performed by the One and only God, our Lord and Creator. “See that you do not refuse Him Who speaks. For if they did not escape, those who refused him that spoke on earth, much more we shall not escape if we turn away from Him Who speaks from Heaven, Whose voice then shook the earth…” (Hebrews 12:25-26 MKJV). “He Who comes from above is above all; he who is from the earth is earthly and speaks from the earth. He Who comes from Heaven is above all, and what He has seen and heard, that He testifies, and no one receives His testimony” (John 3:31-32 MKJV). The Lord Himself also testified: “And no one has ascended up to Heaven except He Who came down from Heaven, the Son of Man Who is in Heaven” (John 3:13 MKJV). “Then what if you should see the Son of Man going up where He was before? It is the Spirit that makes alive, the flesh profits nothing. The words that I speak to you are spirit and are life” (John 6:62-63 MKJV). There were not three members of a trinity operating at the Lord’s baptism. There was only the One True God making known His Person and the awesome happenings at hand, for our sakes. “Then the LORD rained upon Sodom and upon Gomorrah brimstone and fire from the LORD out of heaven” (Genesis 19:24 KJV). This Scripture, however, is proof that God can be spoken of in the third person, though never as another person. As for Hosea 1:4, it has only one mention of the LORD. So what gives? Is no one checking over these things, or of the million visitors a month GotQuestions claims to have, not one has pointed out these oversights? Isn’t this indicative of how readily people swallow poisonous false doctrines without question? But the Lord quickens whom He will, and His Word does not return to Him void! Not at all! These Scriptures only prove that the coming of the Lord Jesus Christ, the Son of God, was foretold for our sakes. The LORD also has an Angel, which is His manifestation and appearing, as reported in the Old Testament (read Jesus Christ, Almighty God). No one who knew God ever believed the Angel of the LORD was another member of a trinity or some unknown number of gods. “Create in me a clean heart, O God, and renew a right spirit within me. Cast me not away from Your presence, and take not Your Holy Spirit from me” (Psalms 51:10-11 MKJV). “Your throne, O God, is forever and ever; the staff of Your Kingdom is a staff of righteousness. You love righteousness, and hate wickedness; therefore God, Your God, has anointed You with the oil of gladness above Your fellows” (Psalms 45:6-7 MKJV). “But to the Son He says, ‘Your throne, O God, is forever and ever. A scepter of righteousness is the scepter of Your Kingdom. You have loved righteousness and hated iniquity, therefore God, Your God, has anointed You with the oil of gladness above Your fellows’” (Hebrews 1:8-9 MKJV). These verses say nothing about a second member of the trinity known as “God the Son.” They speak of God, Who, taking on human flesh and living as a man, worshipped God perfectly, as all men are called to do through Him. You won’t find another person called “God the Son” in the Scriptures because there is only one God, not two or three persons called “God.” He became one of us, known in His incarnation as “the Son of God,” serving in this capacity as the Mediator Who reconciles us to God. We become one with God through the Son of God. If God was a trinity, comprised of “God the Father, God the Son, and God the Holy Spirit,” then the following Scripture would be worded differently. “Grace be with you, mercy, and peace, from God the Father, and from the Lord Jesus Christ, the Son of the Father, in truth and love” (2 John 1:3 KJV). “Grace be with you, mercy, and peace, from God the Father, and from the Lord Jesus Christ, God the Son, in truth and love” (2 John 1:3 KJV). What is the difference, you ask? “The Son of the Father” is the projection of God into humanity, whereas “God the Son” is the introduction of another individual. That is why I say “God the Son” could also bestow grace, but we find in the Scriptures that grace always comes from God, singular: “Grace to you and peace from Him [not ‘Them’] Who is and Who was and Who is coming; and from the seven spirits which are before His [not ‘Their’] throne” (Revelation 1:4 MKJV). “The grace of our Lord Jesus Christ be with all of you. Amen” (Revelation 22:21 MKJV). There is only one source of the grace of God, which comes to man through Jesus Christ. “And I will pray the Father, and He shall give you another Comforter, so that He may be with you forever, the Spirit of Truth, Whom the world cannot receive because it does not see Him nor know Him. But you know Him, for He dwells with you and shall be in you” (John 14:16-17 MKJV). “And he fell to the earth and heard a voice saying to him, Saul, Saul, why do you persecute Me? And he said, Who are you, lord? And the Lord said, I am Jesus Whom you persecute. It is hard for you to kick against the goads” (Acts 9:4-5 MKJV). Did He say Saul was persecuting the Holy Spirit they had received at Pentecost? No, He said Saul was persecuting Him in those saints, because He is the Holy Spirit. “But made Himself of no reputation, and took upon Him the form of a servant, and was made in the likeness of men: And being found in fashion as a man, He humbled Himself, and became obedient unto death, even the death of the cross” (Philippians 2:7-8 KJV). What would be the point if God became a man without being subject to the same restrictions we experience as physical beings? When Jesus said to the Jews that He was from before Abraham, He spoke of His existence as God, knowing from before the beginning what He would come and do in the flesh. As it is written of Him: “…Who verily was foreordained before the foundation of the world, but was manifest in these last times for you” (1 Peter 1:20 KJV). “For who is greater, one who sits at the table, or one who serves? Isn’t it he who sits at the table? But I am in the midst of you as one who serves” (Luke 22:27 HNV). “Therefore God has highly exalted Him, and has given Him a Name which is above every name, that at the Name of Jesus every knee should bow…” (Philippians 2:9-10 MKJV). The One Who took on human form to save us, and the only One Who could save us, is God, not a second and lesser “Person” of a trinity. It is the same God Who dwells in those who receive Christ’s Spirit – the Holy Spirit – the Spirit of God. This is the one true God. “Whoever shall confess that Jesus is the Son of God, God dwells in him and he in God” (1 John 4:15 MKJV). “No one has seen God at any time. If we love one another, God dwells in us, and His love is perfected in us. By this we know that we dwell in Him, and He in us, because He has given us of His Spirit” (1 John 4:12-13 MKJV). “The Spirit of God” is used interchangeably with “the Spirit of Christ” because He is the same God and Spirit. “Work not for the food which perisheth, but for the food which abideth unto eternal life, which the Son of man shall give unto you: for Him the Father, even God, hath sealed” (John 6:27 ASV). “To all that are in Rome, beloved of God, called to be saints: Grace to you and peace from God our Father and the Lord Jesus Christ” (Romans 1:7 ASV). “God our Father and the Lord Jesus Christ.” That is the point here. God is our Father and the Lord Jesus Christ. (Can He not be more than one thing?) He came to cleanse us with His blood through Jesus Christ. 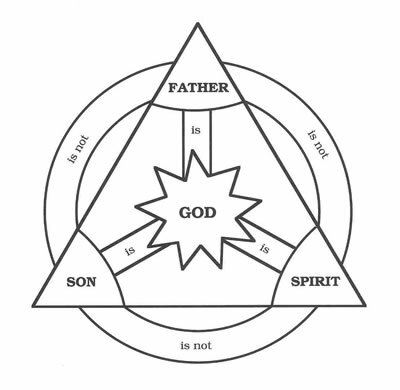 These are not separate components of a tri-part God, with one portion being called “the Father.” That is baseless, foolish, wicked surmising. “If any man teach otherwise, and consent not to wholesome words, even the words of our Lord Jesus Christ, and to the doctrine which is according to godliness; he is proud, knowing nothing, but doting about questions and strifes of words, whereof cometh envy, strife, railings, evil surmisings” (1 Timothy 6:3-4 KJV). “In the beginning was the Word, and the Word was with God, and the Word was God” (John 1:1 ASV). “And the Word became flesh, and dwelt among us (and we beheld His glory, glory as of the only begotten from the Father), full of grace and truth” (John 1:14 ASV). “…whose are the fathers, and of whom is the Christ according to flesh, He being God over all, blessed forever. Amen” (Romans 9:5 MKJV). Yes! Jesus Christ is God, amen! The point made here is that God took on human form, manifesting His Character and fulfilling the Law as a man such as we are (which we could not do), because He was without sin. He laid down His life as only God could and thereby overcame death for us all. He is not another God, but God Himself. “But Peter said, Ananias, why has Satan filled your heart for you to lie to the Holy Spirit, and to keep back part of the price of the land? While it remained, was it not your own? And after it was sold, was it not in your own authority? Why have you conceived this thing in your heart? You have not lied to men, but to God” (Acts 5:3-4 MKJV). “But if the Spirit of Him [the Father] Who raised Jesus from the dead dwells in you, He Who raised Christ from the dead will also give life to your mortal bodies through His Spirit indwelling in you” (Romans 8:11 EMTV). “Therefore take heed to yourselves, and to all the flock in which the Holy Spirit has made you overseers, to feed the church of God which He [the Holy Spirit] has purchased with His own blood” (Acts 20:28 MKJV). The Holy Spirit is God – Father and Son! The Spirit of God is not a subordinate Being, as GotQuestions suggests, using their doctrine to divide God, grabbing hold of any Scriptures they can misconstrue to support their ungodly trinity. Jesus Christ is the Comforter! The Spirit of Truth is the Spirit of God is the Spirit of Christ. In the new and different thing God was doing by giving men His Spirit through Christ, the language the Lord used to describe this extraordinary happening makes it clear that He was returning to them in the Spirit, as God, and no longer in human form. He was coming to give them eternal life, a quality of life where man is empowered by God to live as Christ did, as a perfect man, the fulfillment of God’s work of making us in His image. (20) Therefore by works of the Law no flesh shall be justified in His sight, for through the Law comes the knowledge of sin. (24) being justified freely by His grace through the redemption that is in Christ Jesus…. (31) Therefore do we nullify the law through faith? Certainly not! On the contrary, we establish the law. When we see Jesus, in the days of His flesh, submitting to the Father, it is not because He is a subordinate “Person” in a trio of Gods. It is God in the form of a servant, doing perfectly what we are called and empowered to do through Him. He is the Way. When Christ says, “Father, if You are willing, remove this cup from Me. Yet not My will, but Yours be done” (Luke 22:42 MKJV), He makes the way for us to lay down our lives, too, by the same Spirit He now gives us. As He raised Himself from the dead (yes, Christ, as God, raised Himself from the dead – John 2:19), so do we exercise His resurrection power to overcome sin and death. “Many shall be purified, and made white, and tried. But the wicked shall do wickedly. And none of the wicked shall understand, but the wise shall understand” (Daniel 12:10 MKJV). (6) one God and Father of all, Who is above all and through all and in you all. Are there three bodies? No. Are there three faiths? No. Are there three baptisms? No; though there is water baptism, this passage speaks of the baptism in the Holy Spirit, the new birth, of which there is only one. Are there three Gods (Persons or whatever one wants to call “Them”)? No! Think about this: Without the Lord Jesus Christ, there is no such thing as “God the Father,” because one can only be born again through Christ. No Christ, no Father. “For through Him we both have access by one Spirit to the Father” (Ephesians 2:18 MKJV). If God were composed of members, as trinitarians propose, you could remove one, just like you could have your leg amputated. But that is not the case with God. The Lord our God is One, impossible to separate: “But there is to us only one God, the Father, of Whom are all things, and we in Him; and one Lord Jesus Christ, through Whom are all things, and we by Him” (1 Corinthians 8:6 MKJV). How can there be anything without Christ, by Whom God dwells in us and we in Him? This Lord Who sits on the throne of God and is worshipped by the twenty-four elders is also worshipped by four beasts, who say, “Holy, holy, holy, Lord God, the Almighty, Who was and is and is to come” (Revelation 4:8 MKJV). These last peculiar words pertain to the Lord Jesus Christ: “I am the Alpha and Omega, the Beginning and the Ending, says the Lord, Who is and Who was and Who is to come, the Almighty” (Revelation 1:8 MKJV). So yes, the Scripture does speak of God Almighty, the Father, when speaking of the Son. Can there be any doubt remaining that this is One and the Same God? “And when I saw Him, I fell at His feet as dead. And He laid His right hand upon me, saying to me, Do not fear, I am the First and the Last, and the Living One, and I became dead, and behold, I am alive for ever and ever, Amen. And I have the keys of hell and of death” (Revelation 1:17-18 MKJV). “Therefore I said to you that you shall die in your sins, for if you do not believe that I AM, you shall die in your sins” (John 8:24 MKJV). “Do you not believe that I am in the Father and the Father in Me? The Words that I speak to you I do not speak of Myself, but the Father Who dwells in Me, He does the works” (John 14:10 MKJV). God did this for us, so we could do it, too, for Him and through Him! All thanks and praise to the Lord Jesus for the power to lay down our lives, in order that He might take them up! “Although He was in the form of God and equal with God, He did not take advantage of this equality” (Philippians 2:6 GW). And again, speaking of Christ: “Who being the shining splendor of His [God’s] glory, and the express image of His essence, and upholding all things by the word of His power, through Himself cleansing of our sins, He sat down on the right of the Majesty on high” (Hebrews 1:3 MKJV). Is not the “express image” a form of the One True God, manifesting and demonstrating His power and glory? The “Angel of the Lord” Who visited the Israelites is also a form of God, appearing and speaking with all of God’s authority, because He is God. What we have done in this article is remove the circle of denial to end the cycle of confusion. Those who receive our words by God’s gift of faith will hear the truth and, should they heed His words, will come to know Him. Bless His (not “Their”) Holy Name forever! “O LORD our God, other lords beside You have had dominion over us: but by You only will we make mention of Your Name” (Isaiah 26:13 KJV).